5th Annual Picnic @ Sunday Aug 21, 2016 starting 10AM until everyone leaves. "Gas BBQ's ONLY will be allowed no charcoal"
No Alcohol is allowed, if you get caught it is on you. No cost to get into park. Everyone is welcome to come join us. Great place to relax and enjoy hanging out with friends, you can bring your bikes to ride around. Come as a group or come alone, either way let have a good time and no drama. You don't have to bring your VW if you don't want to join in with everyone, they are not required. 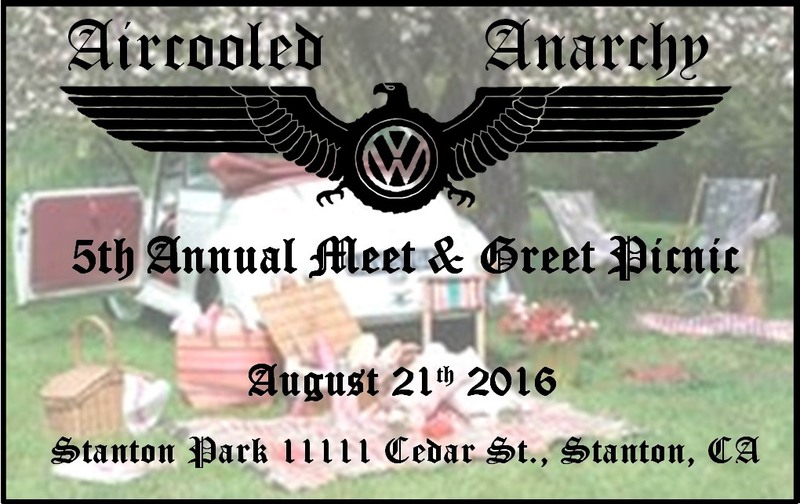 We will have 2 Club Choice Award’s for those who do bring a VW.